Travelport today announced a new long-term technology partnership, via Travelport’s distributor in Oman, with Eihab Travels, one of Oman’s most reputable travel companies. Eihab Travels, an Iata accredited agency established in 1978, will use Travelport’s industry-leading point of sale solution, Travelport Smartpoint, to provide corporate as well as leisure travel services to major multinational corporations, prominent Middle East firms and individuals. Aided by Travelport’s support, the company’s consultants will benefit from intelligent, fast and accurate search of high-quality content from over 400 airlines, 650,000 hotel properties and 35,000 car rental locations. With over 250 airlines signed up to use Travelport’s unique merchandising technology, the company is able to display, gain powerful information around, and sell branded fare families and ancillary products (such as paid seat assignments, baggage fees, priority boarding, etc.) from these airlines. 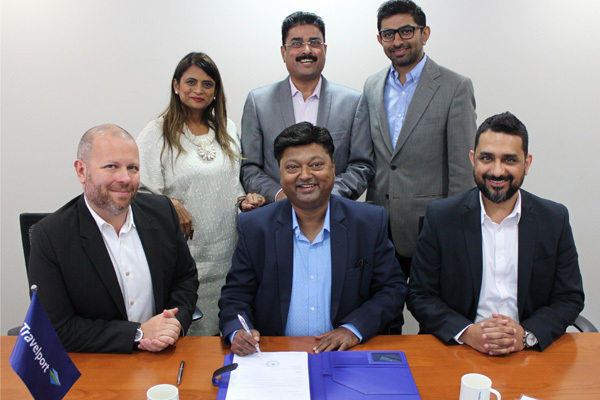 Having recently become the first global distribution system (GDS) to be certified by Iata as a “Level 3” Aggregator under its New Distribution Capability (NDC) initiative, Travelport will soon further benefit the company by creating NDC connections with airlines as they become available.